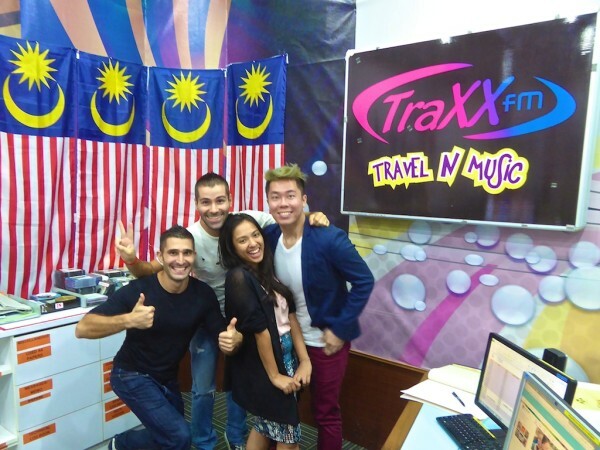 TraXX FM is one of the most popular English radio stations in Malaysia, broadcasted nationwide and also in neighbouring Singapore and Brunei. We were of course dead excited at the opportunity and jumped at the chance to be grilled by Kevin and Diyana about our travels. 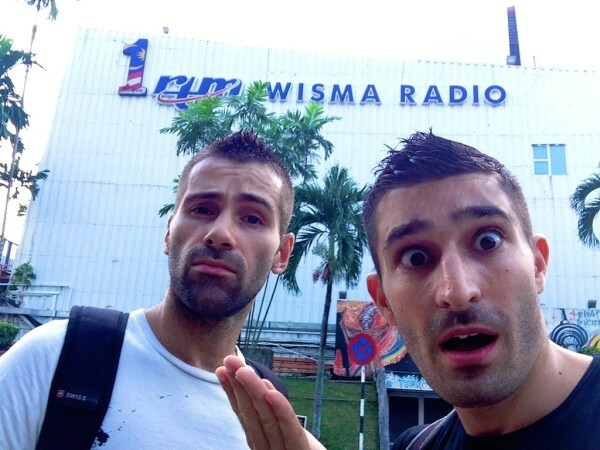 So, on the morning of Wednesday 1st July, we set off bright and early to the Wisma Radio station centre for our first ever encounter with the radio world. Brilliant interview – relaxed and informative (and quite diplomatic…) from you two “partners in crime”! You guys are adorable! I especially love that song you did — I think we all sang it at Rainforest Festival too. Keep it up!